All this project takes is a box (a cereal box should work fine) and some paper. After reading a story, I give each student a part of the story that they are responsible for. The students draw a picture of that part of the story, and can add words if they want. 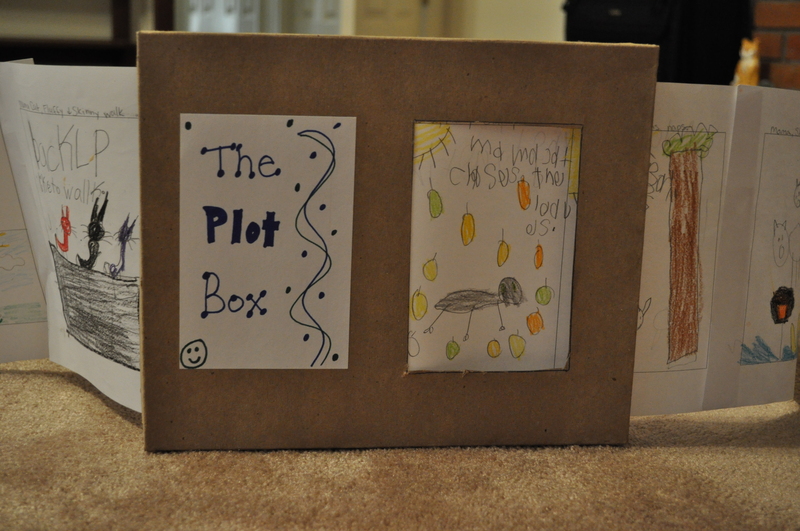 Then, we put the story in order and pull it through the box. As we go through the story, each person tells the part of the story that we drew. This works well for sequencing, summarizing and retelling stories, and oral language development for EL students. This type of summary could also be used as an alternative assessment for students who are new to the English language (instead of a written summary). 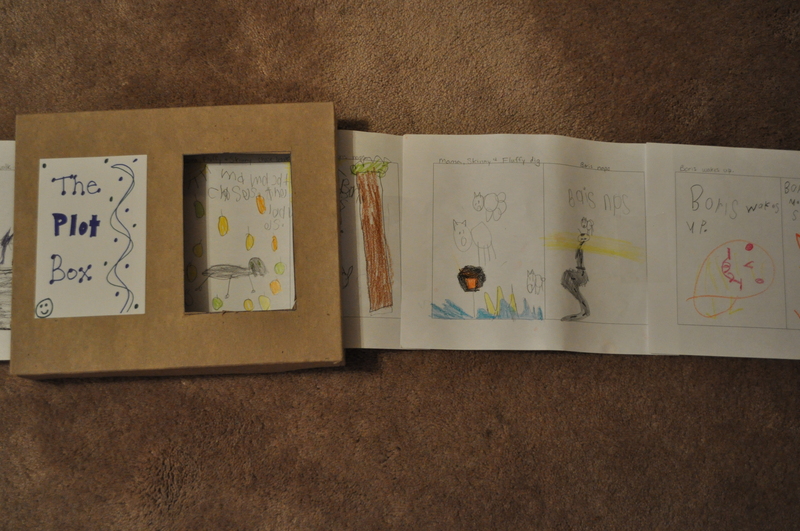 Here are some pictures of the box and one of our stories in class. 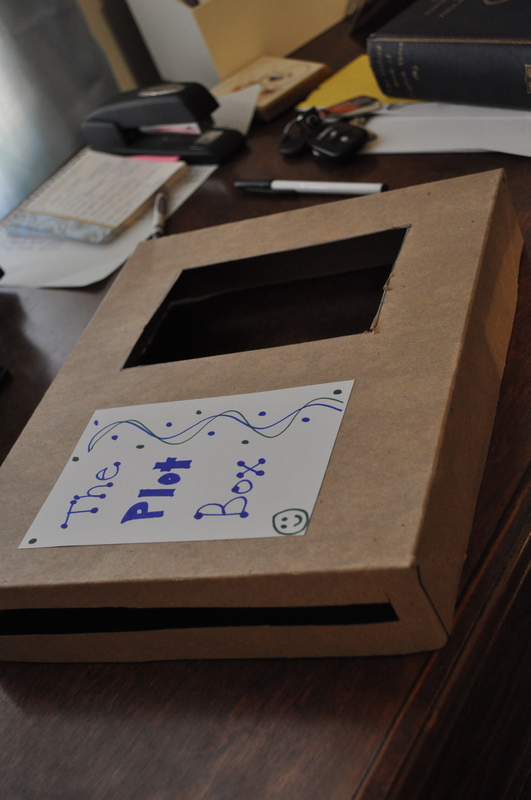 If I redo the plot box, I think I’ll make it look like a television. Posted on January 14, 2012 by Katie •	This entry was posted in School and tagged ESL, teaching. Bookmark the permalink.